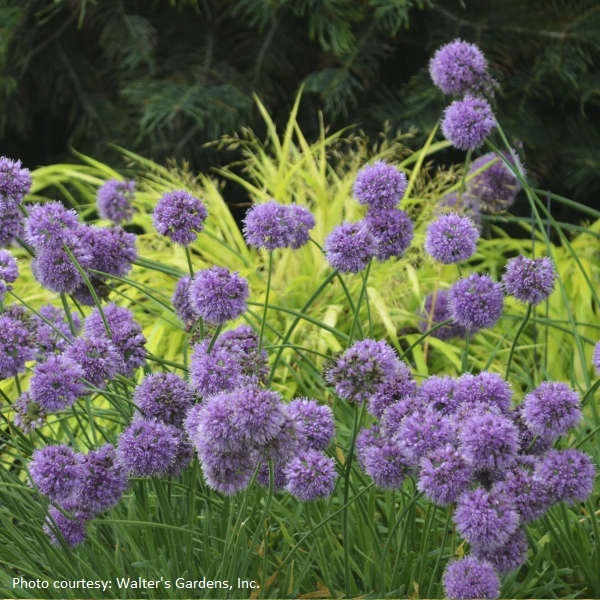 Allium 'Medusa'. This ornamental onion has snaky, twisty leaves that will remind you of the snake hair from the Medusa legend. 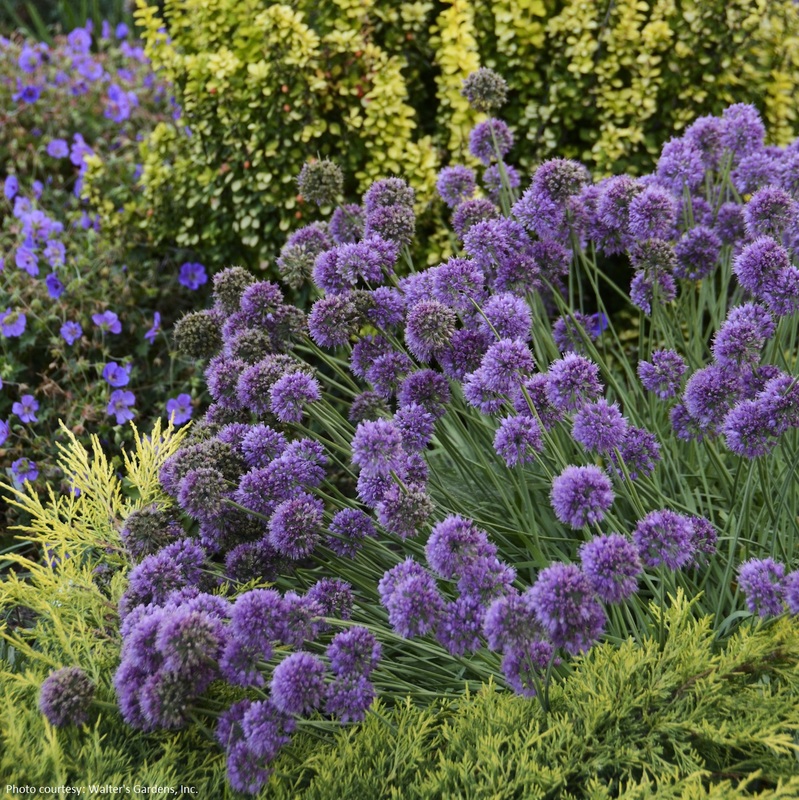 'Medusa' forms a low mound of grey-green, narrow foliage with leaves the twist slightly at the end. 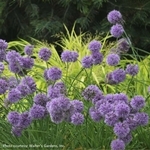 The nodding buds look like snakes at the tips of the stems, before they straighten to form 1.75-2" rounded clusters of light amethyst purple flowers. Similar in flower color and flower foliage to 'Blue Eddy', but in a much larger form. PPAF.